The two largest luxury commercial yachts for charter currently are KISMET and LAUREN L. Leaving most guests in awe of the sheer size, intricacy, and beauty of these superyachts, they have built a reputation in mastering the seas with their grand and opulent stature. 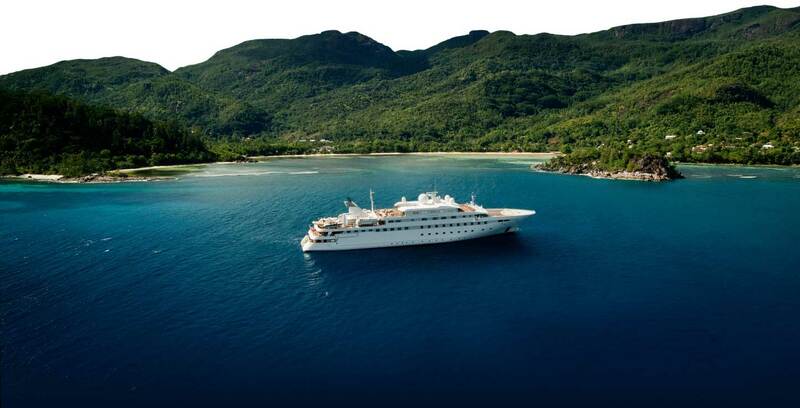 The 90-metered LAUREN L can hold 36 guests in 20 cabins, with 40 crew members to cater to every whim. She traverses the West Mediterranean in the summer, and heads to South-East Asia in the winter. Eclipsing her by just 5 more meters, KISMET (a 95.2 meter behemoth) offers 12 guests a luxurious and grand stay with 28 crew members offerinc exceptional service in the West Mediterranean and the Caribbean. KISMET's charter rate currently sits at €1,200,000 Euros Per Week (not including APA, taxes, and additional expenses). These are the stunning yachts that have fortunately offered themselves commercially. Yet, in the world of private yachts, the sizes tower over 150 meters! Find the two largest yachts in the world below. Pictured above is AZZAM, a sleek yet whopping 180 meter (590.5 feet) private yacht, owned by the current Sheikh of the United Arab Emirates, Sheikh Khalifa bin Zayed Al Nahyan. Launched in 2013, she still holds the title in 2019 as the largest yacht in the world, with her 20.8 meter beam and 4.3 meter draft. Built in only four years by Lürssen and designed by Nauta Design, the Sheikh invested $650 million in her production. With no interior pictures being released, the boat is rumored to have a 6,000-square-foot lounge, up to 50 suites, and a 95-foot salon! Carrying a submarine and her own missile defense system, it will still travel in excess of 32 knots powered by a combination of two gas turbines and two diesel engines with a total power output of 70 MW (94,000 hp). Definitely a breathtaking yacht, but soon to be eclipsed by another yacht, predicted to be delivered in 2020. Yacht REV (pictured above), currently under construction, by a Norwegian billionaire, will defeat AZZAM's records by just 9 feet in length, standing at 182.9 meters (600 feet). With 54 crew members to cater to 36 guests on board, there will be plenty of space to be enamoured by the intricate and opulent design and build. Constructed by Vard and designed by Espen Oeino, pictures and information is yet to be expected by REV, but the yacht industry's population lies in suffocating anticipation of the limitations REV is going to overcome and the new bar it will set in the world of luxury yachting. The direct impact the private yachting world has on the commercial luxury charter market is prevalent. The commercial market is exponentially increasing in size, with luxury yachts reaching closer and closer to that 150+ meter mark. Thoroughly exciting and almost unbelievable, the time of seeing 100+ meter yachts dotted around the coast of the Western Mediterranean is just a few years away, and we are thrilled for it.